Dustin | 1001 Movies…Before I Die! What is more awful, the imitation of the famous character, or the famous character, himself? It’s not as easy a question as I was guessing that it would be. 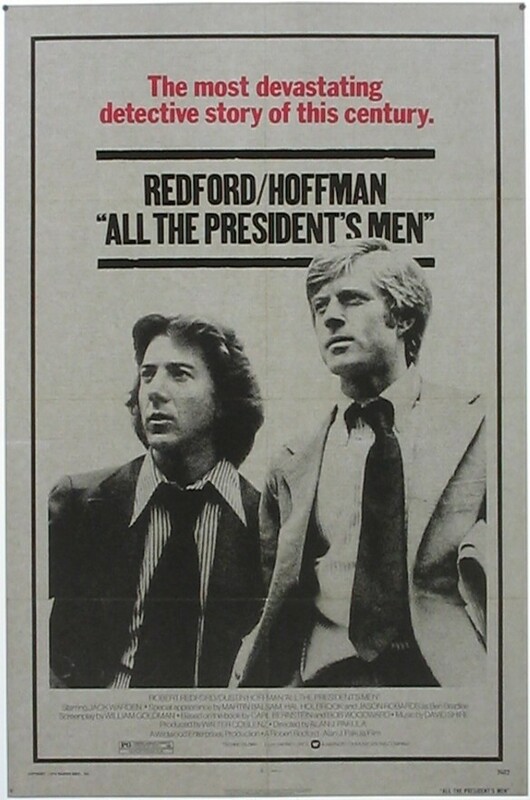 With such well-defined mannerisms, speech patterns that inspire imitation, and the constant repetition that drives it into the brain of the collective public, a film like this one can easily become parody. Before seeing this film, my only knowledge of it was of the imitation of Ray Babbit that just about everyone seems to know, regardless of having seen the film or not. I had grown rather sick of these imitations and had developed the opinion that I didn’t like Rain Man because of it. I felt that Dustin Hoffman’s performance as the aforementioned Babbit was hammy and over the top, and I wrote off Tom Cruise as having played himself…again. All before having seen one frame of film. I was wrong. For something that could have easily delved into the realm of the predictable, layered with melodrama, and schlock that I feared so much, Rain Man keeps a remarkably level-headed assessment of Hoffman’s mentally challenged Ray and his hot-headed brother, Charlie played in a remarkably subtle way by Cruise. Immediately my impression of the film shot up as the characters turned out to be not only grounded in reality, but more importantly, utterly believable and even likable as well. Driven mostly by his anger, and to a lesser degree by his fear, Charlie Babbitt,tries to fill the hole inside himself with things and with money. Constantly he is reminding himself of what the world owes him, and it is with this attitude that he greets the news of his estranged fathers death. Not willing to deal with how this makes him feel, or his own sense of loss, Charlie looks simply at what was left to him, and feels he is owed more. He is not a terrible or a bad person, he is just so filled with anger, it’s all he can feel anymore. The majority of his father’s money, it turns out, has been left to a brother, that Charlie never knew he had. Ray Babbitt, the new-found brother, immediately becomes a target for Charlie’s anger, despite the fact that he’s unable to understand, let alone deal with either the anger or the blame. Charlie is left with the choice of leaving with nothing, or leaving with Ray, hoping to get a sort of paltry ransom from the executor of his father’s estate, and the rest of the film deals with the two brothers learning to find value in one another. While the union isn’t ideal for either of them at first, the two brothers eventually get to know each other, and in time come to trust each other too. As I mentioned before, Tom Cruise, wasn’t yet the Tom Cruise we know today. The 1988 version could actually play more than one character, each one with subtlety and definition, too. Watching Babbitt stretch and grow, first straining against then breaking through the confines of his anger, was one of the most rewarding experiences thus far in this endeavor. Combined with the muted performance that Dustin Hoffman turns in, Rain Man showed itself to be the real deal. 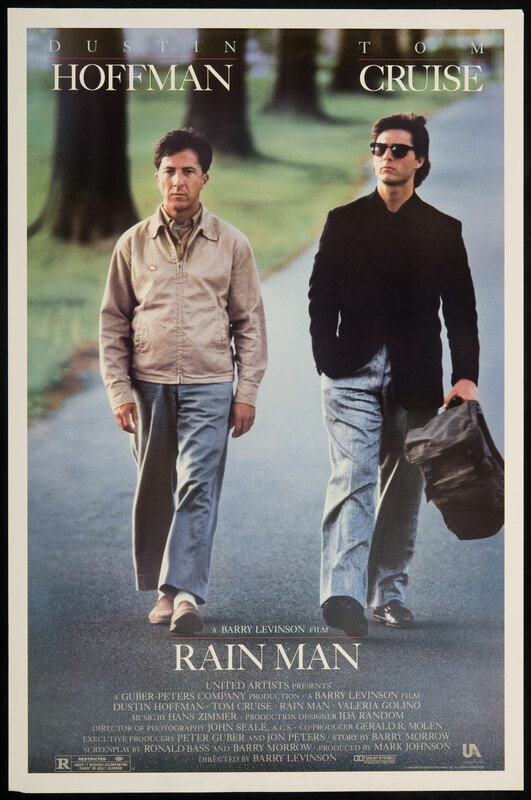 While not my favorite of what I’ve seen during this little endeavor, Rain Man was surprisingly good. What could easily have fallen back into the gimmick of method acting or even a plain, stale buddy movie, really blossomed into a whole greater than the sum of its parts. Well worth it. A classic film. One that, I’ve been told, encapsulates an entire generation. It sums up what it’s like being in that in-between stage in life, where you’re not quite a responsible adult, and you’re no longer a care-free kid. I have to say that this summary of The Graduate is entirely true, although, to fully appreciate these selling points one has to be part of that demographic. At the very least you have to be near to that demographic, otherwise the just out of college (or recent graduate, get it, get it…?) Benjamin Braddock starts to seem more and more like a shiftless young man who just doesn’t know what he wants. The story starts out after Ben has graduated from college with a number of honors, and the pride of his parents overflowing. The guests at his party are gushing about him, dying to know more about his time in college, but all he can think about is getting away from them and being alone. It is during this wallowing, that he encounters Mrs. Robinson, a sexually hungry neighbor who wastes no time in seducing him. At first Ben is frightened, but eventually days later, his curiosity gets the better of him and he voluntarily accepts her lustful advances. Mrs. Robinson, a woman unhappy in her marriage, and unfulfilled by her choices in life, is attempting to dampen the pain through their purely physical encounters. Conversation, and social niceties are thrown out the window, as she apathetically, almost coldly manipulates Benjamin in order to get what she wants. Benjamin, fascinated by the attention he is getting from her, doesn’t quite know how to handle the clinical approach that Mrs. Robinson takes, and continually attempts to engage her. Ultimately he persists long enough, and delves deep enough to find out something of why she is engaged in this deception of her family with him. During their affair, Ben lets everything else in his life slide. The drive and ambition that defined him in his college career, now gives way to malaise and ennui, causing his parents to finally confront him. In an attempt to get him back on track, it is suggested that Ben take Elaine Robinson out on a date (his parents are un-aware of Ben’s affair with Elaines mother). Ben’s submission on this issue, and his and Elaine’s subsequent date sets into motion the main conflict of the movie. While this movie almost certainly defines what it is like to be young, and to break free of the mold that has been set for you, it also chronicles the consequences of such impulsivity. For every life altering decision that Benjamin Braddock makes to forge his own way, there is a life long regret that Mrs. Robinson is continually trying to make up for. For every plot element that looks forward into a promising future, there is an equally strong storyline looking back on decisions that can’t be un-made. That being said, what you get out of this film depends entirely on where you are in your own life as you watch it. I for example, just turned thirty, am engaged, and have a steady job that I work hard at everyday. I see the folly in Benjamin’s decisions more than I do the glamour. Dustin Hoffman does a great job of playing the impulsive, wandering, naivety that most college kids our just out of school. He is young capable of getting what he wants, and most of all he is only really concerned with himself, and what seems to be best for him in the present. Anne Bancroft on the other hand, does a fantastic job of playing the person who used to be just like Benjamin Braddock. Someone who, only now, can see the error of her choices. Visually, the film is put together beautifully. It flows together much like the characteristic songs from the soundtrack. Each shot goes with the next, and is bourne from the last. The patterns layered in the montage scenes repeat themselves to illustrate the scheduled and repetitive nature of Ben’s life, and start to fall away when he becomes more impulsive and free-wheeling. The color is rich and vibrant, which aides the slightly unreal quality that one feels after completing something as life-changing and influential as graduating college. While the Graduate maybe didn’t have the same effect on me that it did on others, it did have an effect none the less. While I don’t think it is the film that completely defines who I am, or who I was, neither are the films that at one time did define me. As much as Lost in Translation once meant to me, i’m coming to it from a different perspective now, and it doesn’t quite mean the same thing. That being said, just because it doesn’t define me, doesn’t mean it isn’t saying something important anyhow. The same is true for The Graduate.